Whether you’re operating a large medical practice or trying to grow a small one, finding ways to save money can be difficult. It’s not always easy to know where to cut costs, or what you should invest in to save money down the road. Plus, you don’t want to compromise your productivity by removing something vital to your practice’s health. You have to make sure your practice remains as efficient as possible, with the lowest costs possible. To help your practice stay on (or below) budget, we’ve compiled a list of 11 things to help your practice save money. From items like LED bulbs, automated answering machines, and medical transcription services, you’re bound to find new ways to keep costs low! Implementing a “virtual receptionist” into your practice could be a great way to save money. When you have an automated answering service, you won’t have to invest in costly expenses like salary, benefits, paid time off and more required for an employee. Not to mention, a receptionist can’t be available 24/7 every day of the year, which means you probably are paying for some type of automated system already. Additionally, you won’t have to worry about sounding professional on the phone or calls going to the wrong department. An answering service is customizable, too, so you can make it work for your practice’s individual needs. While it’s not always possible, choosing single-use over reusable equipment can help your medical practice save more money than you may think! Single-use products are beneficial in many ways. First, they eliminate concerns about cross-contamination, which could pose a huge threat to your practice and its patients. Second, single-use equipment won’t have to be fixed or repaired. This alone can help your practice cut costs by eliminating frequent and expensive repair bills. There’s nothing wrong with purchasing refurbished office supplies for your medical practice. Things like computers, printers, couches and more can be found on online auction sites for much cheaper than you would normally pay! Or, check with the manufacturer to see what remanufactured equipment is for sale. However, be cautious when choosing refurbished or remanufactured supplies. Always do your research and make sure you get the proper documentation or warranty for each piece of medical office equipment you purchase. When it comes to saving money, consider outsourcing as many functions as possible. One function your practice may decide to outsource is its IT (information technology) services. Outsourcing IT can help save your practice money by eliminating the need for an onsite IT professional or team. It can also help reduce wait time when technical problems arise. This saved time is huge when it comes to increasing your practice’s productivity. Plus, having an in-house IT service isn’t necessarily an essential function of your practice. So, take the time to choose an outsourced IT service that works best for your practice. That way you save your practice money and time—win-win! Interns are a great way to keep costs low and remain productive. Undergrad or graduate students are always looking for ways to gain valuable experience—and usually at little to no cost to you. By giving simple administrative tasks to an intern, you can help your medical practice remain efficient all while staying on budget. If you have extra room around your office, or your medical practice isn’t open 24/7, consider renting out available space to an after-hours practice or another medical professional. This way you can split bills like rent and utilities, which will reduce costs tremendously. Renting out your space to someone else won’t affect your practice’s productivity either, making it a smart choice if you have the space to give. However, always make sure you’re trusting your space to the right person or team! Verify credentials and maintain communication with your renters to ensure your space is being properly taken care of and that bills are being paid on time, every time. It’s easy to over-invest in office supplies like pens and paper. To stay on budget, purchase the minimum number of items you would need to remain efficient. Or, reach out to the manufacturer to ask about bulk discounts. If you decide to stick with the bare minimum, make sure you have a plan in place just in case you run out of supplies. Keep track of inventory, and trust your administrative team or office supply company to provide the supplies you need quickly and at the lowest possible cost. Train your front office staff to ask patients, “How will you be paying today?”, instead of, “How much will you be paying today?”. This simple difference can help patients feel prompted to pay all, or a majority, of their total upfront. When it comes to discussing payments, train your staff to be understanding and educational. Not every patient will understand what they’re paying for, so make sure your staff can properly answer their questions. Finally, make it easier for patients to pay by offering multiple methods of payment. Limited payment methods can be frustrating to patients, and can result in your practice not receiving the funds it needs to remain productive. By offering as many options as possible, you should be able to avoid payment issues. Create an online portal where patients can schedule their appointments. 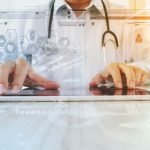 This will make scheduling easier for your medical practice and patients since online scheduling can be completed from desktop, tablet or mobile platforms. Once the appointment is scheduled, an online service can send reminders, too. Plus, you can fully customize your online scheduling system to make it unique to your practice. If you combine online scheduling with an automated answering system, you could eliminate the need for a receptionist altogether. This alone could save your medical practice thousands of dollars annually. While this may seem like a hefty investment at first, LED lighting can help your practice save big in the long run. Start by replacing any halogen or fluorescent lights in your practice with LED bulbs. LED bulbs are known to last longer than regular bulbs and are extremely energy-efficient. These lights will help you cut down on your energy bill, so your practice is bound to experience huge savings from switching to LED lighting alone. Or, you could always go a step further by using motion sensor LED lighting. That way, lights aren’t unnecessarily running all day, and are only on when they’re needed. This will maintain the longevity of your LED lights and cut costs even more! Chances are, your medical practice has adopted some form of electronic health records, or EHR. When it comes to cutting costs and increasing productivity, ask yourself how your EHR is being managed. Is it reliant on your physicians, or do you have an in-house scribe operating your EHR? Either way, outsourcing your EHR data entry can save your practice thousands, and increase your practice’s efficiency. 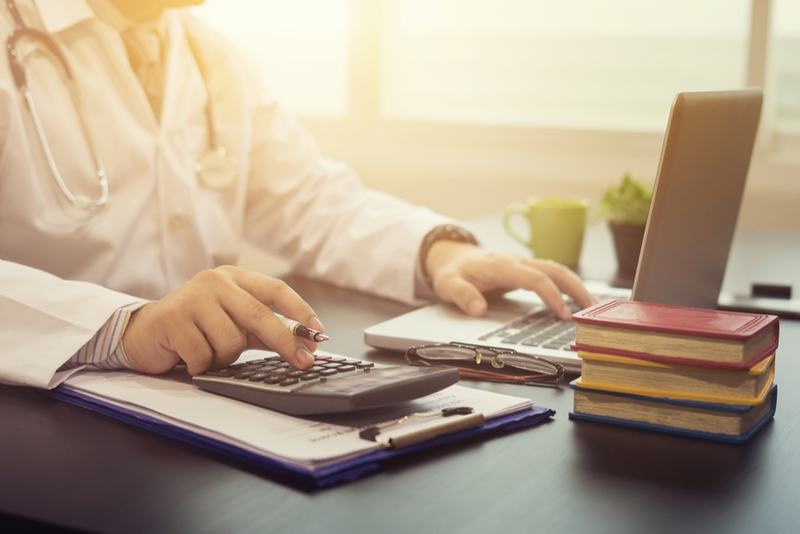 Your physicians have enough on their plate, and shouldn’t have to worry about the extra administrative work involved with EHR documentation. This type of administrative work widely contributes to physician burnout, which could threaten the health and productivity of your physicians. Not to mention the amount of training that goes into keeping your team educated on EHR. And that training isn’t free! EHR training is expensive and extremely time-consuming. This prevents physicians from seeing more patients, further impacting the profits of your practice. On the other hand, you may be trying to save your physicians’ time through an in-house medical scribe. While medical scribes can increase productivity, they aren’t exactly helping your practice save money. Once you factor in salary, benefits, insurance, sick days and more, it’s easy to see why an in-house scribe isn’t a cost-efficient choice for your practice. The solution is DataMatrix Medical. We can take the stress off of your physicians by taking over the tedious note-taking within your EHR. With their extra time, they’ll be able to see and interact with more patients—and more patients means more money for your practice! By trusting us with your medical transcriptions, you won’t have to worry about hiring an in-house transcriptionist. 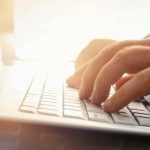 DataMatrix Medical will provide a team of highly skilled transcriptionists who are devoted to your practice. This can help you save thousands of dollars on salary, allowing you to reallocate funds to improving patient care and growing your practice. Plus, our transcriptionists are trained to operate within all different types of EHR, so we can seamlessly integrate into your current system. We pride ourselves on offering fully customizable services, too. Whatever works best for your practice, works best for us! At DataMatrix Medical, we care about your medical practice. We want to simultaneously help your practice grow and save money, without jeopardizing your individuality. Curious about the ways DataMatrix Medical can transform your practice? Start a two-week free trial to put us to the test! To learn more about physician burnout, and strategies to protect the health of your physicians, download our Successful Strategies to Mitigate Burnout at Your Practice guide!